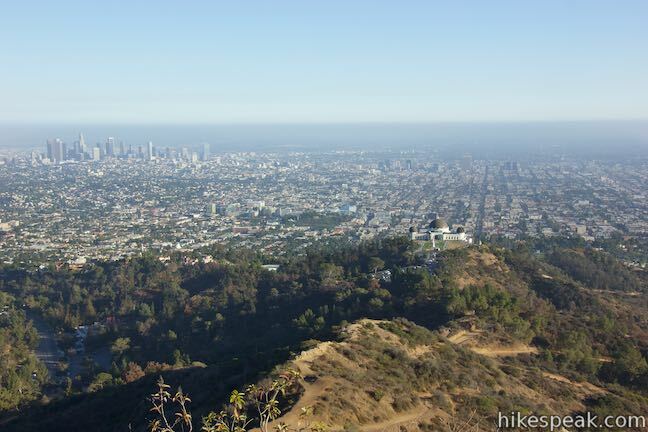 If you’re interested in getting some exercise with panoramic views over Griffith Park, consider hiking a loop to the summit’s of three park peaks: Mount Chapel, Mount Bell, and Mount Hollywood. 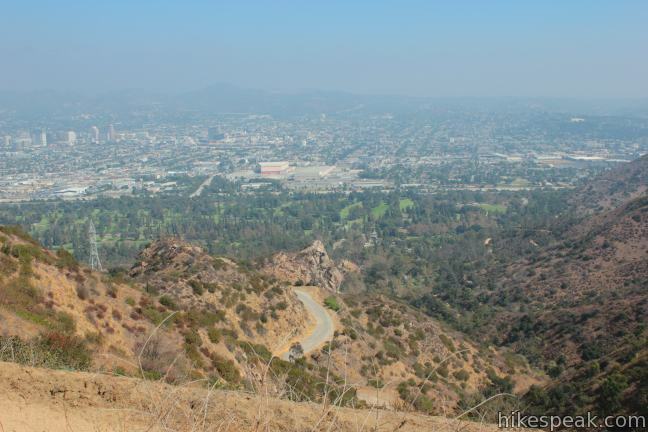 Starting from Hollyridge Trail at the top of Beachwood Drive, this 5.7-mile loop ascends 675 vertical feet, from 950 feet at the trailhead to 1,625 feet at the summit of Mount Hollywood, the tallest of the three peaks. 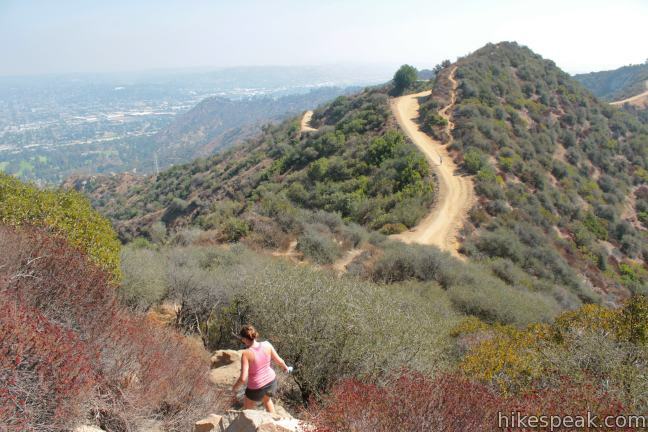 The loop has several ups and downs that multiply the effort for elevation. 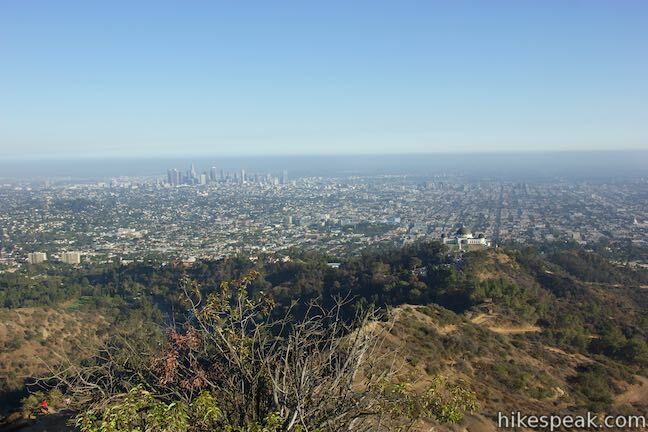 This 3-summit trek mixes wide, gradual trails with a couple steep, rugged climbs to reach towering views over Hollywood, downtown Los Angeles, and much of the Southland. 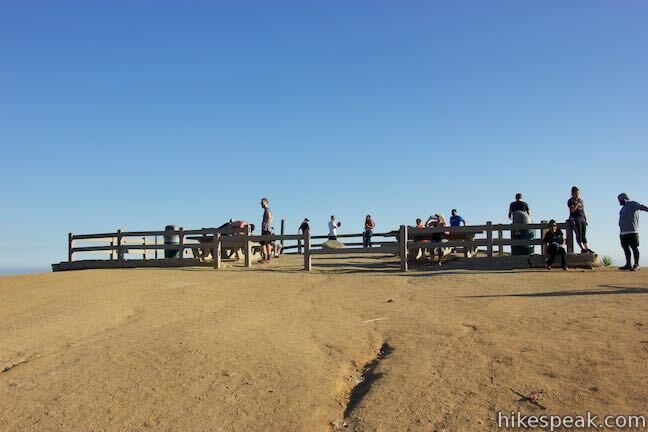 Bad News: The Hollyridge Trailhead was closed to the public in April of 2017. 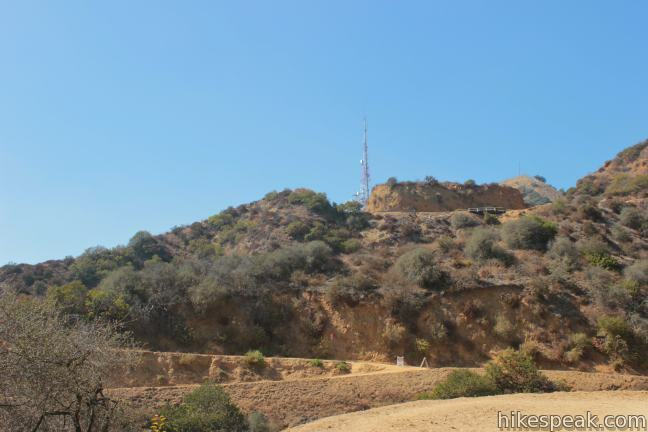 The directions from that trailhead will remain on this site, should the trailhead be reopened. (Yes, it should!). 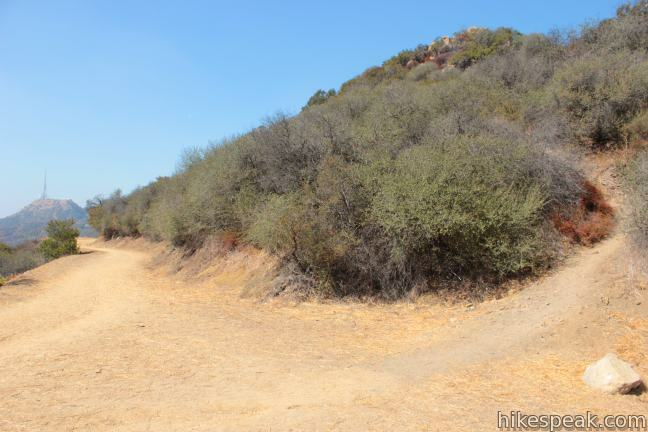 The slightly longer alternative to Hollyridge Trail is to hike up Brush Canyon Trail from Canyon Drive. 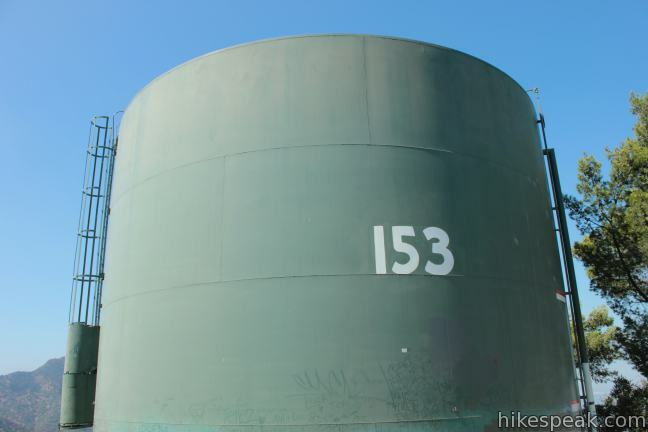 Doing so extends the round trip distance to 6.3 miles. 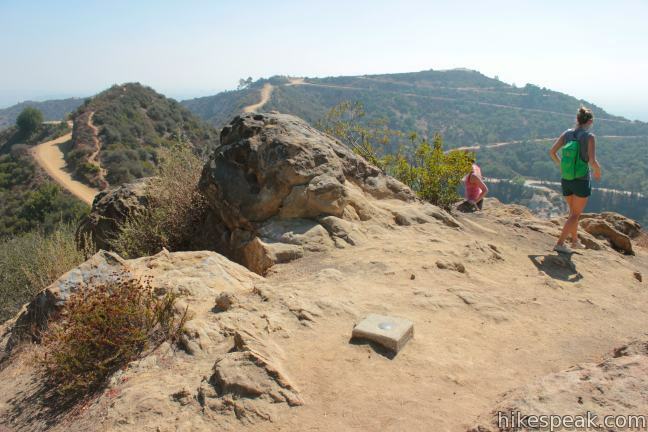 The Canyon Drive Trailhead is down at 640 feet, so the difference between the top of bottom of the hike jumps to 985 feet. Turn-by-turn directions for both routes are below. 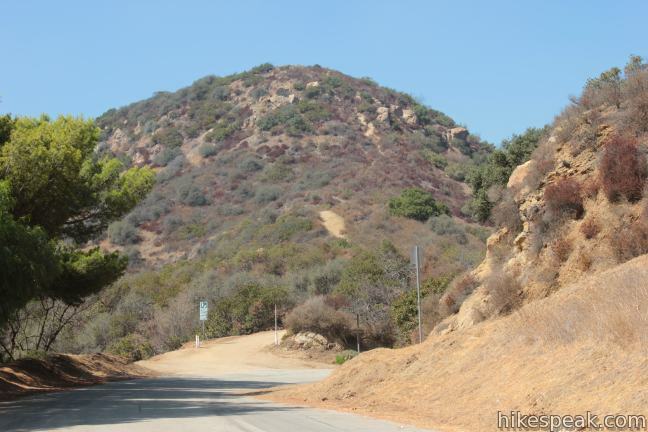 Set out from a trailhead at the top of Beachwood Drive (just before the Sunset Ranch horse stables but above the gate for Sunset Ranch). 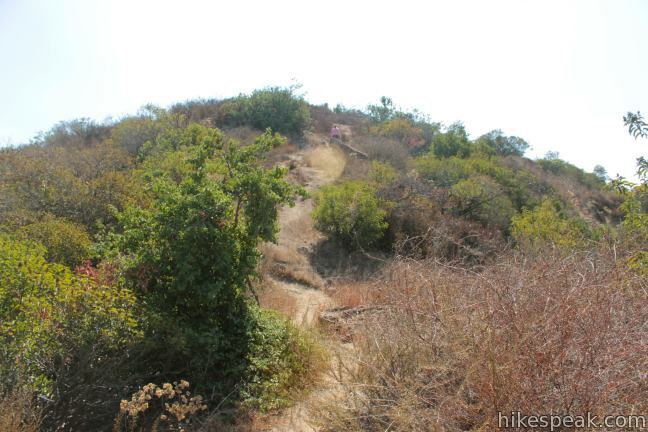 Venture a short distance up a wide, dirt trail to a T and turn left up Hollyridge Trail. 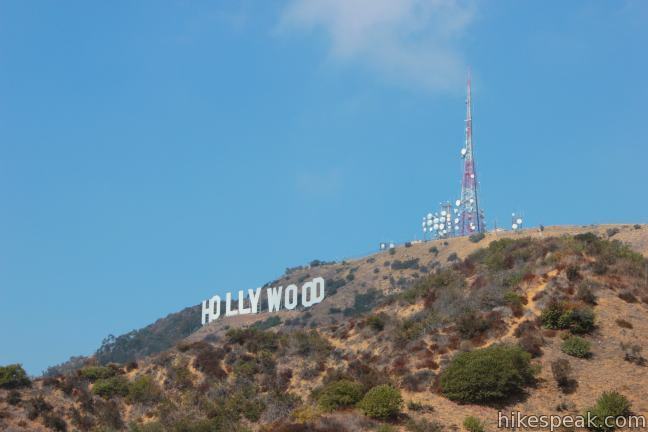 After a tenth of a mile hiking north up the ridge, you’ll get a good view of the Hollywood Sign. It is an angled perspective of the sign, but all nine letters are visible. 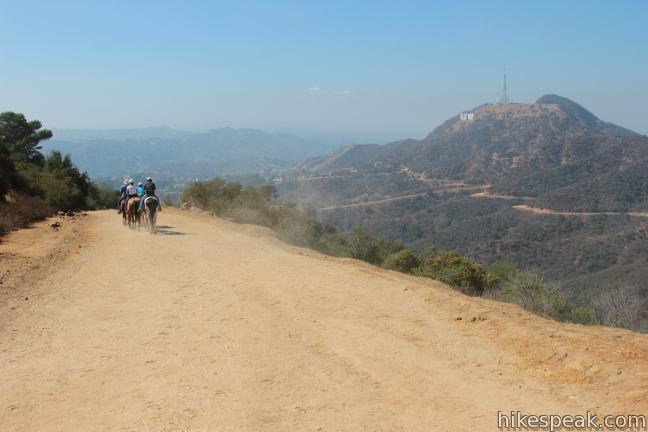 Stay straight on Hollyridge Trail past a horse trail coming up from Sunset Ranch and continue another quarter mile up to a junction with Mulholland Fire Road. 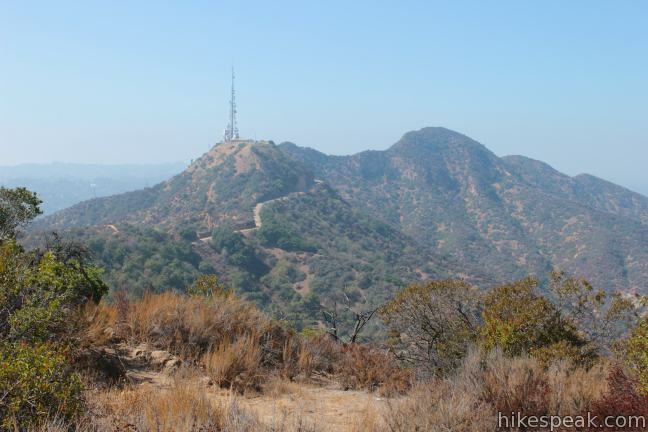 Turn right at this T (0.45 miles from the start) and proceed east in the direction of Mount Hollywood, whose summit is visible above the Griffith Observatory. 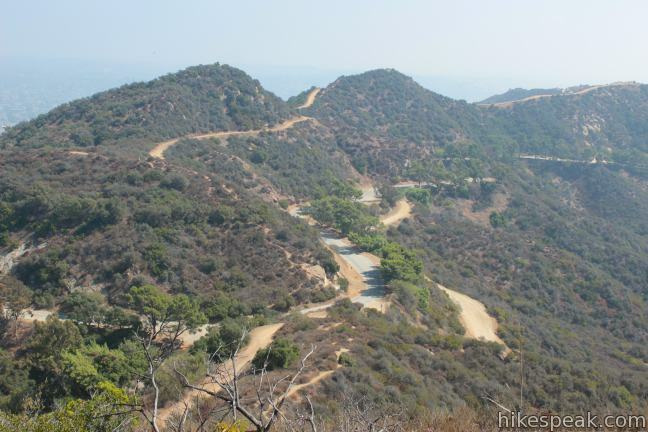 Mulholland Fire Road winds over ridges, offering a gradual climb and open views. 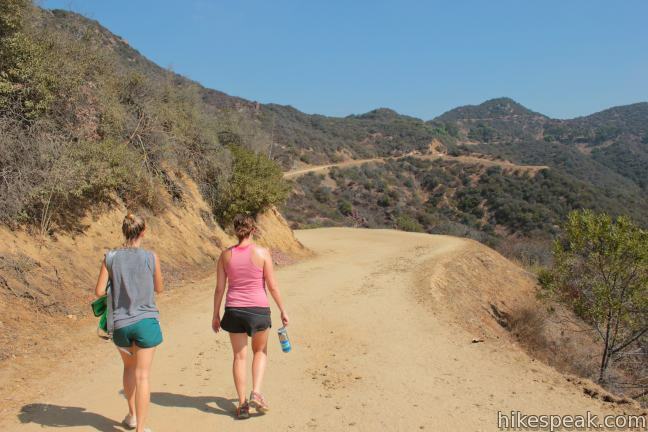 One mile into the hike, you will come to a junction with the top of Brush Canyon Trail. 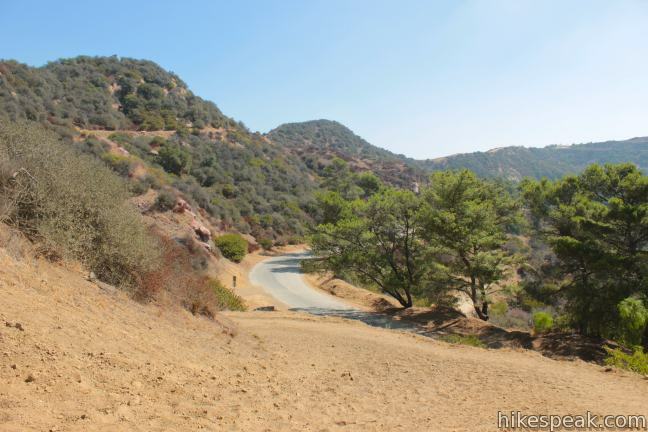 Proceed to the left up Mulholland Fire Road to continue toward Mounts Chapel, Bell, and Hollywood. 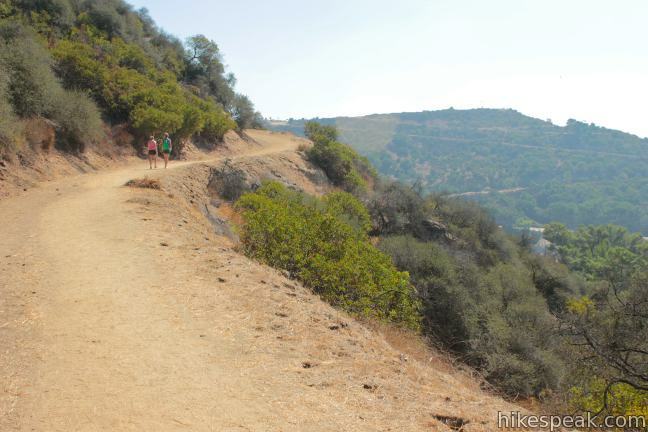 Leaving from the end of Canyon Drive, Brush Canyon Trail can be used as an alternative to Hollyridge Trail for a slightly longer and steeper start to the three-peak loop. 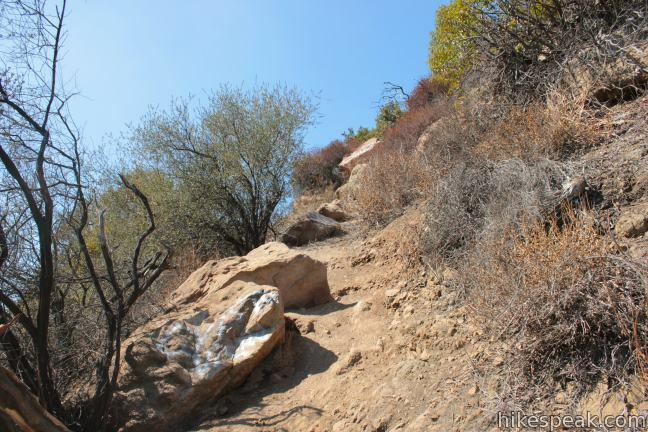 Leave the north end of Canyon Drive and hike around the gate up the center of a wide canyon on Brush Canyon Trail. The dirt road finds the east side of the canyon and climbs above the trees on a sun-exposed route. 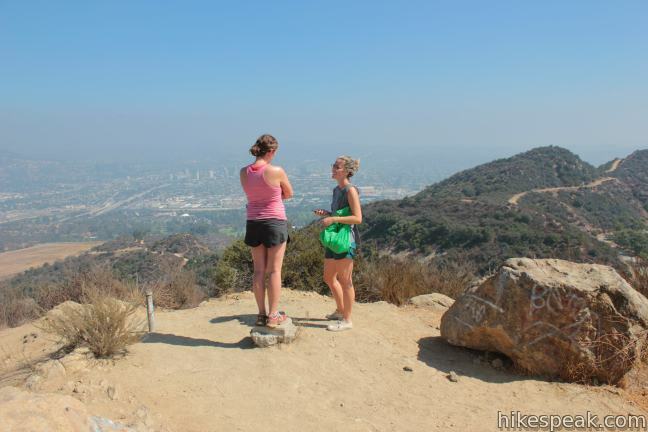 Brush Canyon Trail rounds the top of the canyon and comes to an overlook at 1.25 miles with vies over Los Angeles. 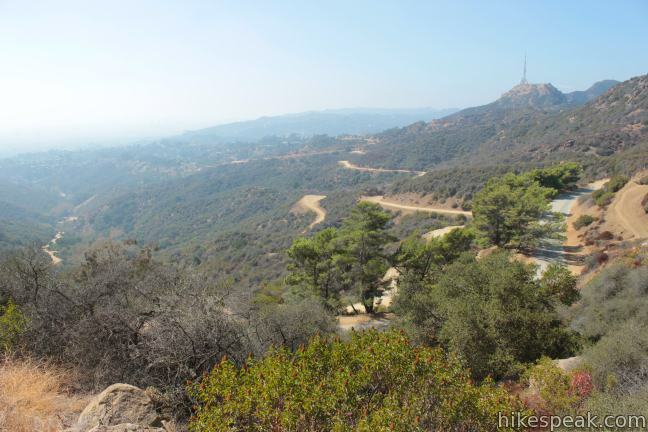 Just above the overlook, and 1.3 miles from the start, Brush Canyon Trail meets Mulholland Fire Road. Turn right to ascends toward the peaks to the east. 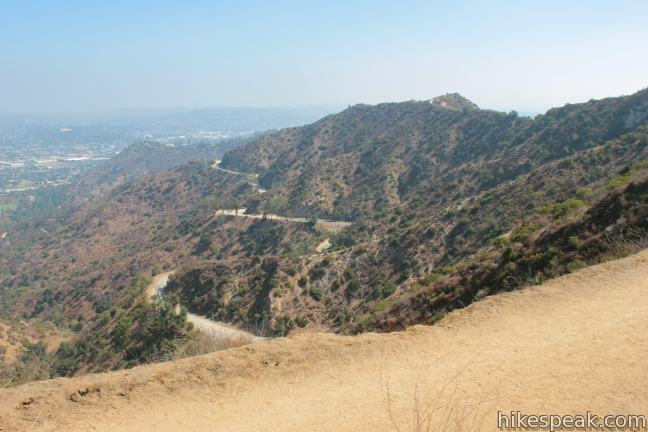 After another 0.3 miles, Mulholland comes to an end at a junction with Mount Hollywood Drive, which is paved but closed to vehicle traffic. 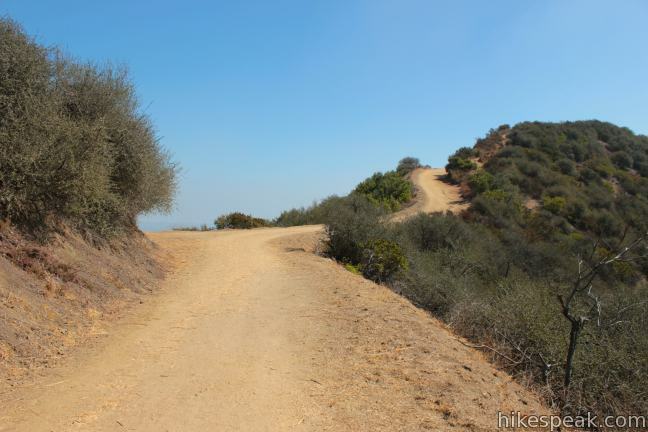 To start with the westernmost of the three peaks, Mount Chapel, turn left and hike 1/6 of a mile to the first bend in the road. 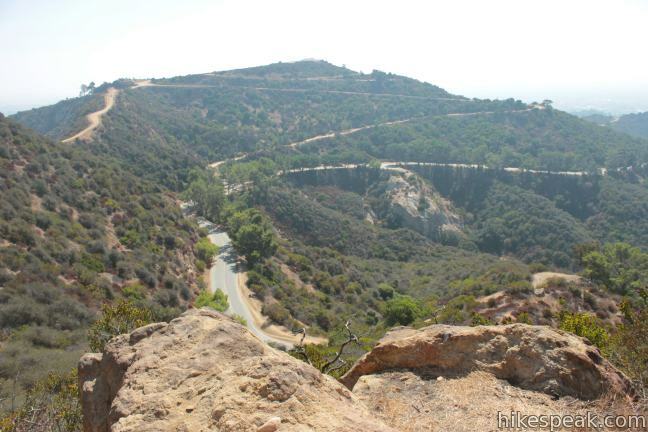 On the outside of this curve, find a dirt road breaking off to the left up Mount Chapel (just across from a dirt road on the right heading up Mount Bell). 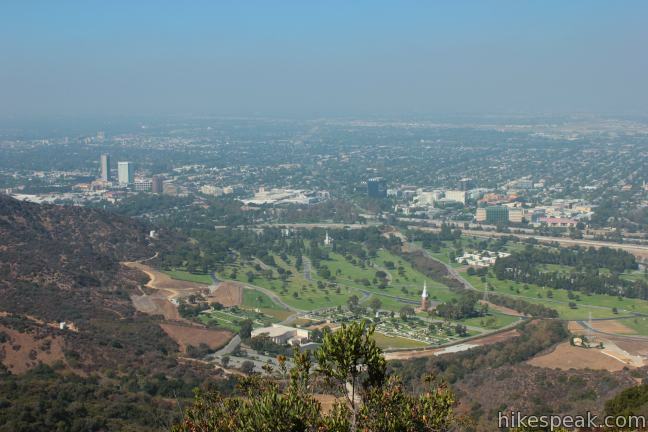 Stride up the dirt road, which wraps around to the north side of Mount Bell to deliver views down the other side of Griffith Park over Forest Lawn Cemetery, Glendale, and the San Fernando Valley. 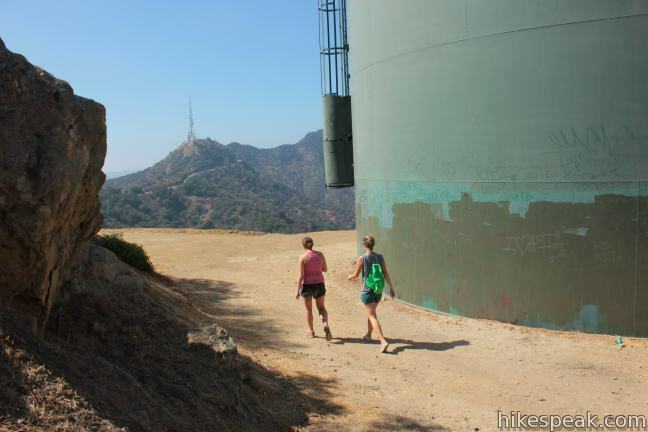 After a 0.3-mile ascent, the road ends alongside a green water tower. 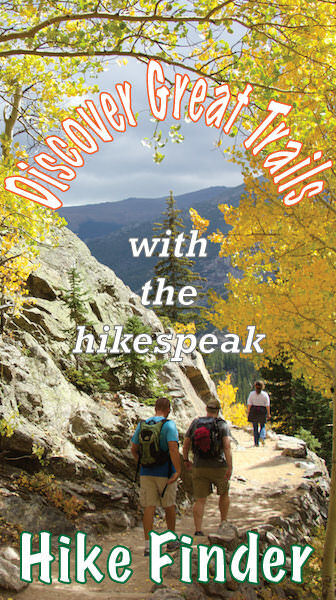 Head up the path behind the tower and make the steep and rocky climb to the 1,614-foot summit of Mount Chapel. 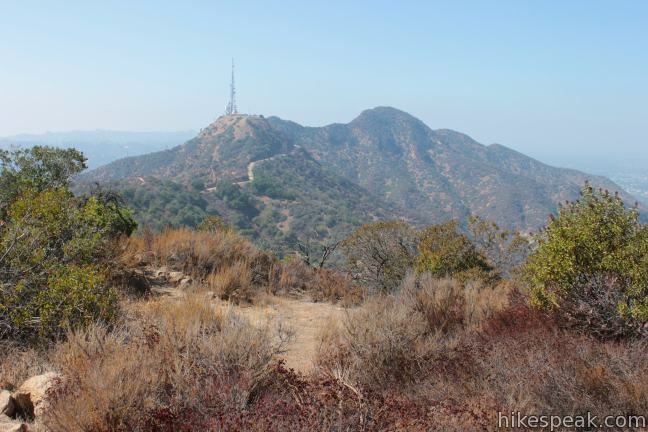 Looking down the ridge to the west, you will spot the radio tower-covered summit of Mount Lee followed by Cahuenga Peak, the highest point in Griffith Park at 1,820 feet. 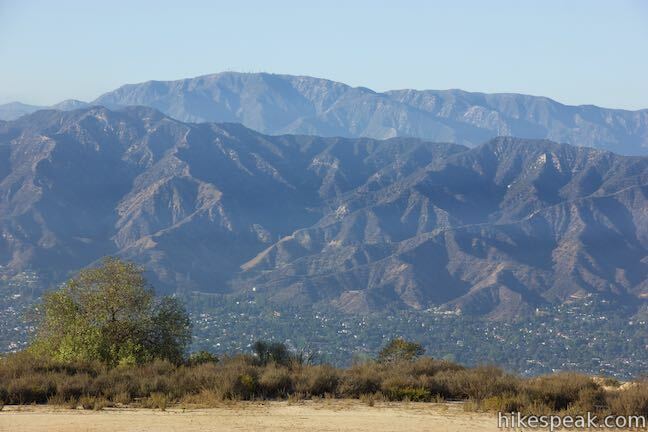 In the other direction, the ridge rises through Mount Bell to the east, before bending south toward Mount Hollywood. 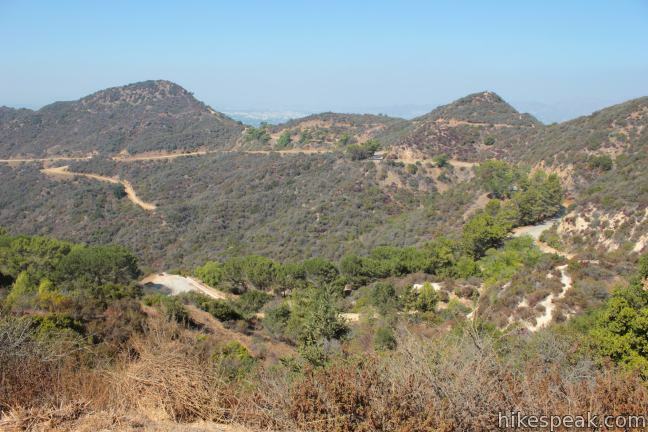 It is a 1.85-mile hike from Hollyridge Trail to the panoramic summit of Mount Chapel (2.15 miles via Brush Canyon Trail). 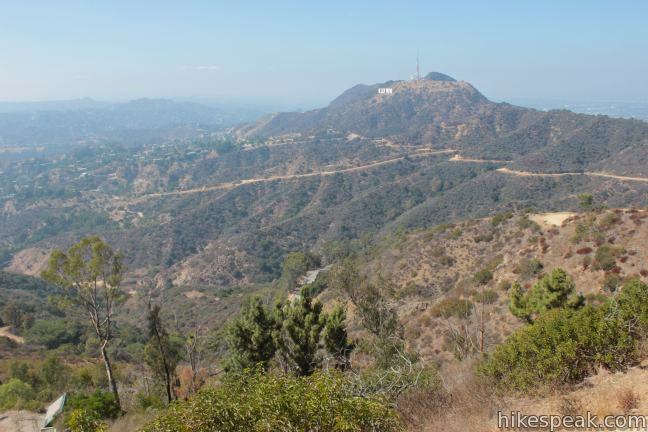 After enjoying the views from the hike’s first summit, descend Mount Chapel to Mount Hollywood Drive. Cross it and begin up the dirt road toward Mount Bell. Stay to the right at the next junction and follow the trail around the south side of Mount Bell. When the road reaches a saddle between the summit and a shorter bump on the ridge, turn left and backtrack up the east face of Mont Bell, following another rugged and steep path to the second summit. 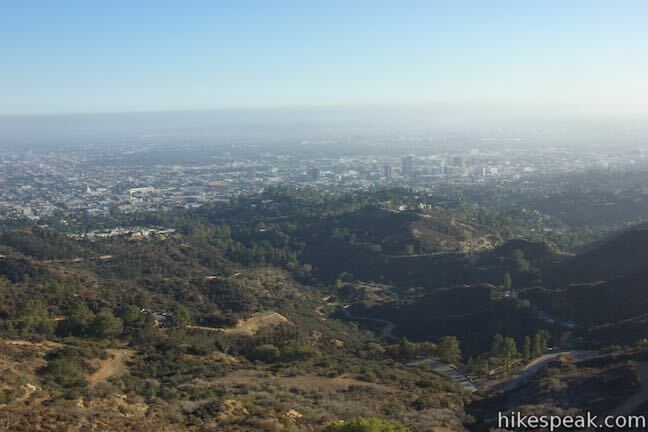 At 1,582 feet, Mount Bell rises above Brush Canyon and offers a nice view southwest down the canyon toward Hollywood. 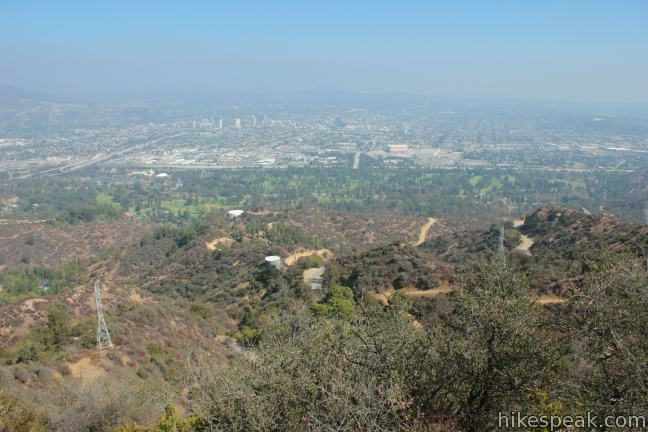 The loop’s second summit offers greater views over the northeast side of Griffith Park toward Glendale and the Verdugo Mountains. 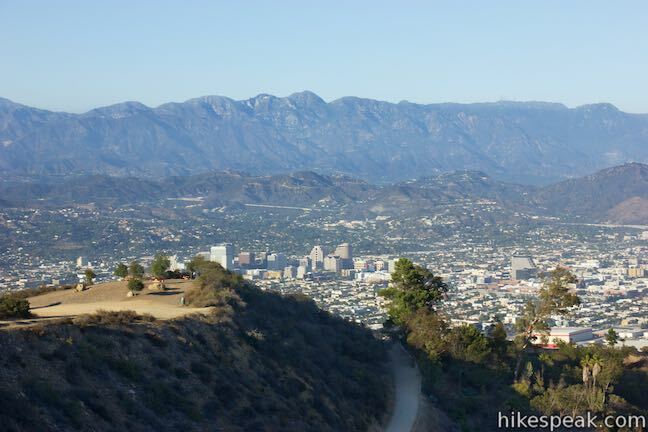 You’ll hike 0.78 miles between Mount Chapel and Mount Bell for a total of 2.63 miles from the start via Hollyridge Trail (2.93 miles via Brush Canyon Trail). 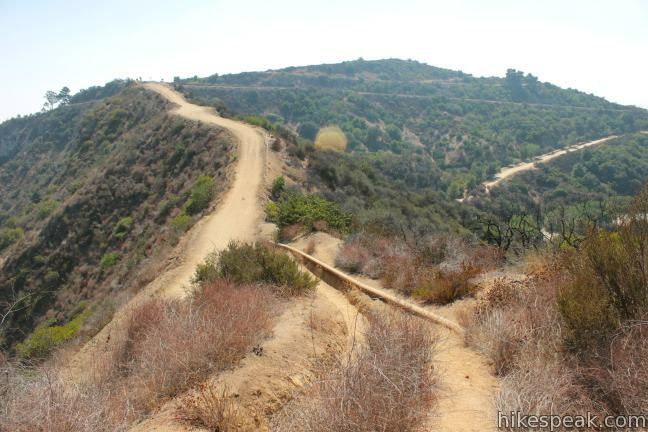 Descend from the summit to the dirt road and continue east from Mount Bell. 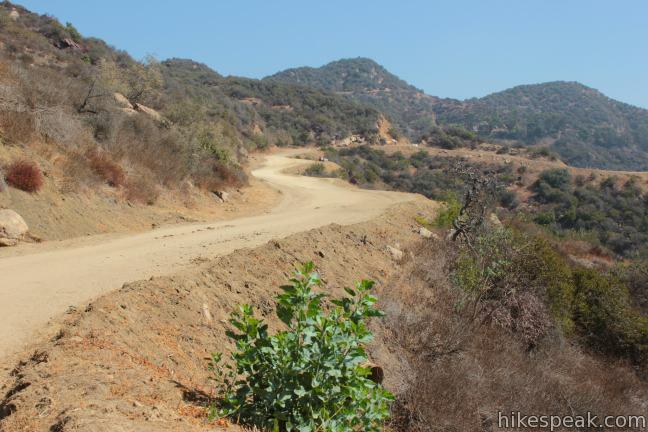 On the other side of the mini-summit on the ridge, the dirt road narrows and drops to another dirt road. 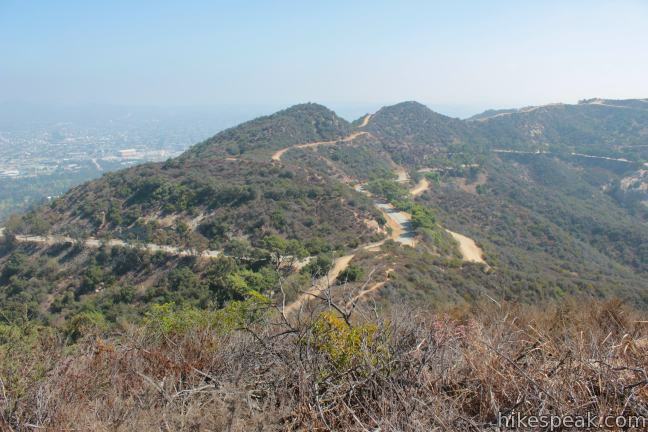 Turn right and hike up to a four-way junction on the north side of Mount Hollywood. 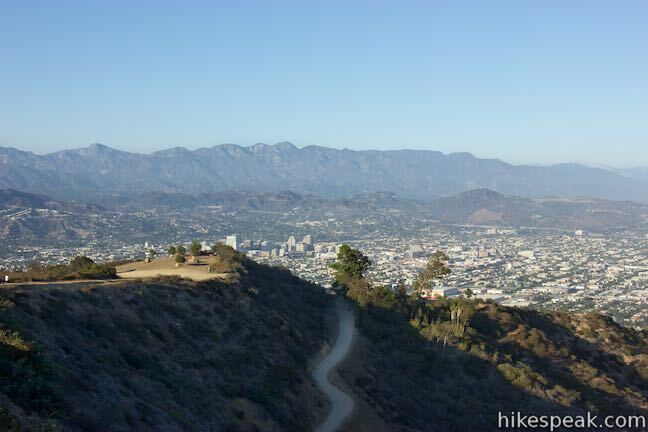 East Ridge Trail descends to the left toward Dante’s View and Glendale Peak. 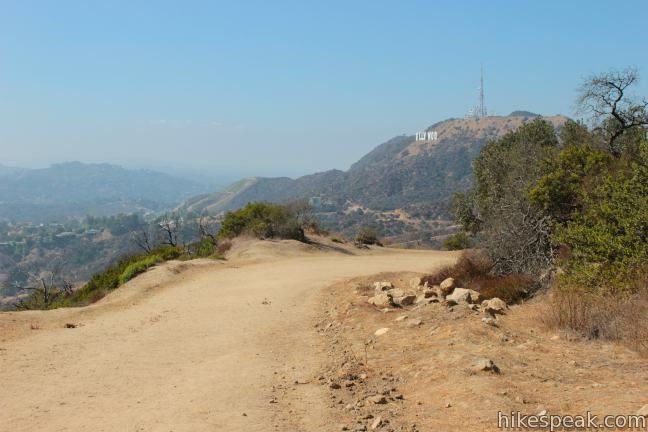 Three Mile Trail descends to the right toward Mount Hollywood Drive and will be used to loop back after visiting the summit. Go straight through the junction and pass a small picnic area. 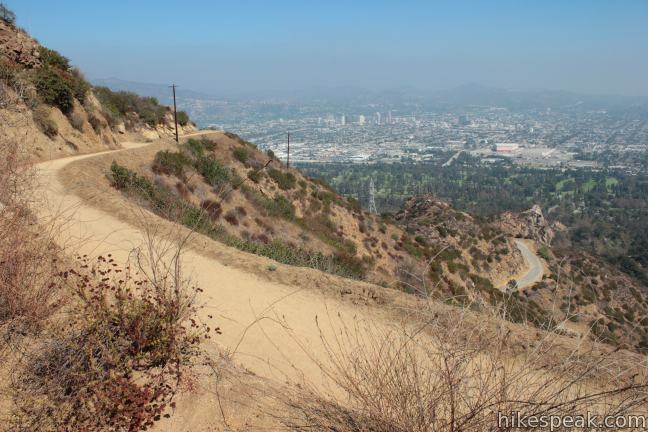 The trail curls to the right and rises gradually over the final 0.2 miles to the top of Mount Hollywood. 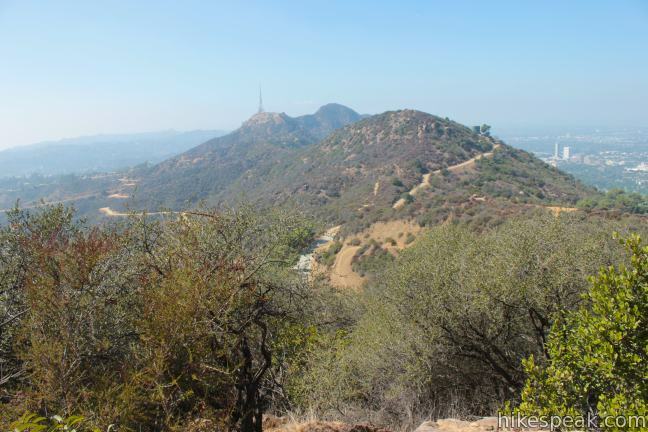 Unlike the first two summits, which are covered in boulders and brush, the crown of Mount Hollywood is bare except for a large fenced-in overlook and a hitching post for horses. 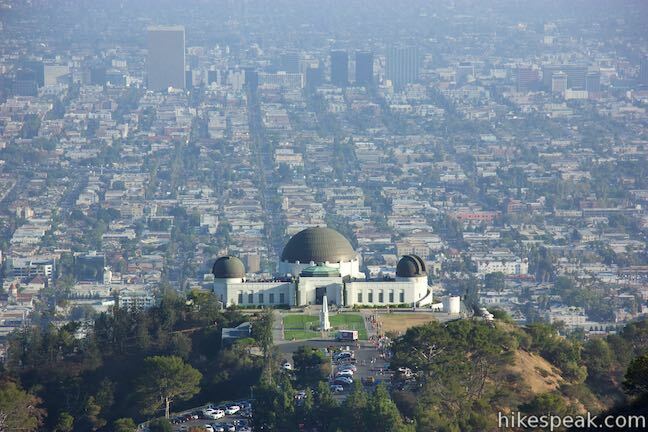 Look south over the Griffith Observatory toward the skyline of downtown Los Angeles. 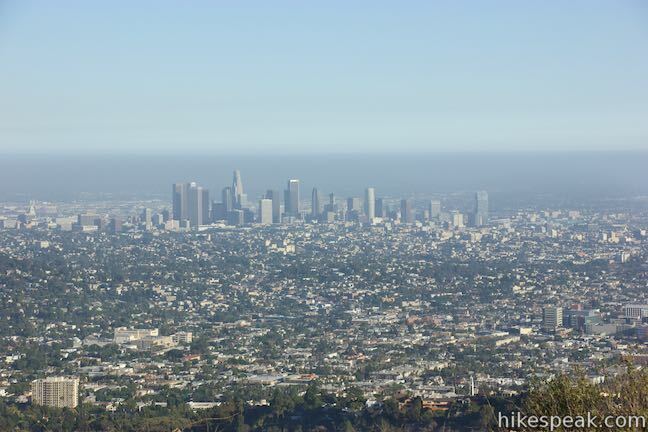 The views from the loop’s highest summit are truly sweeping. 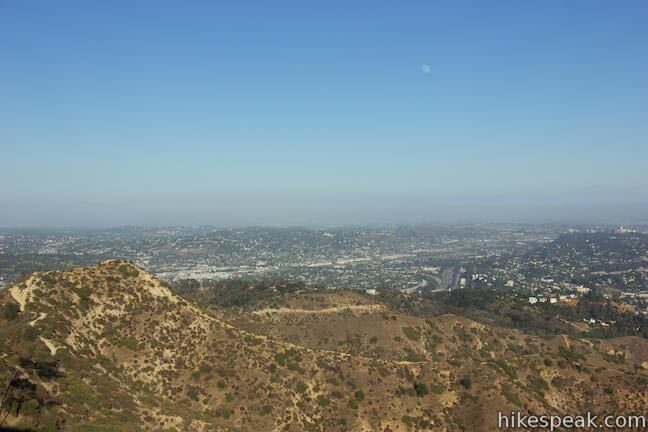 Even the Hollywood Sign on Mount Lee is visible from the 1,625-foot summit of Mount Hollywood. 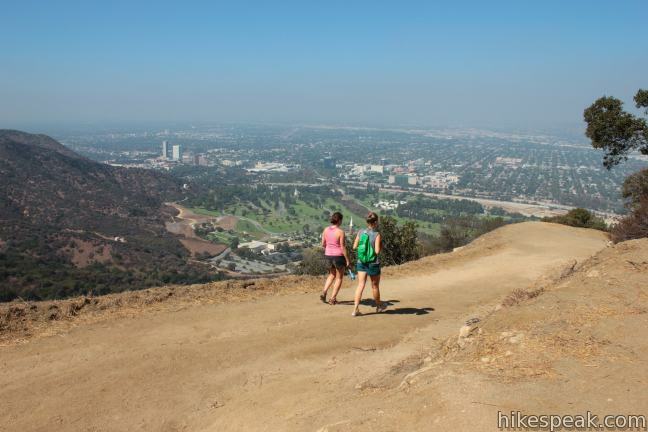 You’ll hike 0.67 miles between Mount Bell and Mount Hollywood, putting the final summit 3.3 miles from the start of the hike and 2.4 miles from the finish via Hollyridge Trail (or 3.6 miles from Canyon Drive and 2.7 miles from the finish via Brush Canyon Trail). 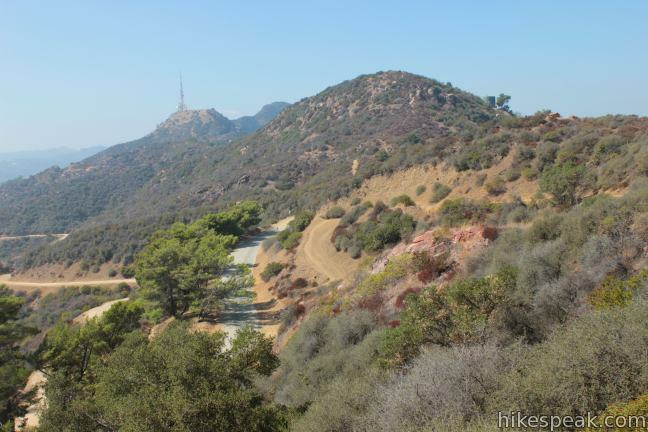 While a few trails lead down from Mount Hollywood, the simplest way back to the trailhead is to return to the four-way junction just north of the summit and turn left. 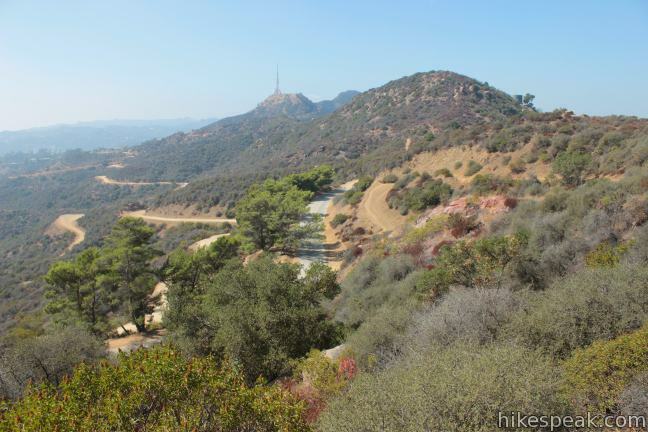 This trail, called Three Mile Trail, descends 0.6 miles to Mount Hollywood Drive, offering a good perspective of Mount Bell and Mount Chapel, along with views of Mount Lee and the Hollywood Sign farther to the west. 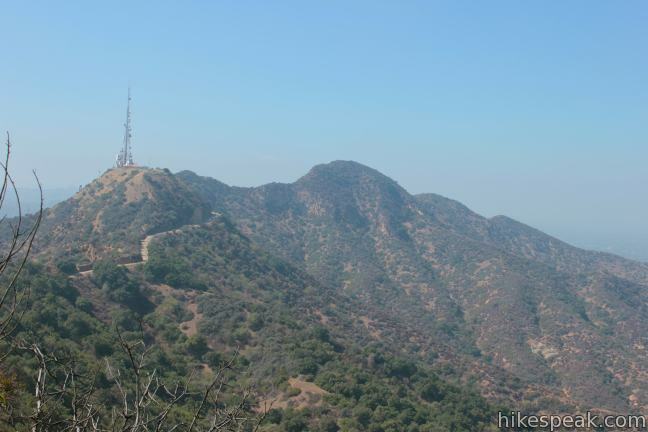 Hike 0.85 miles down Mulholland Fire Road, turn left down Hollyridge Trail, and descend 0.45 miles to the starting point above Beachwood Drive. 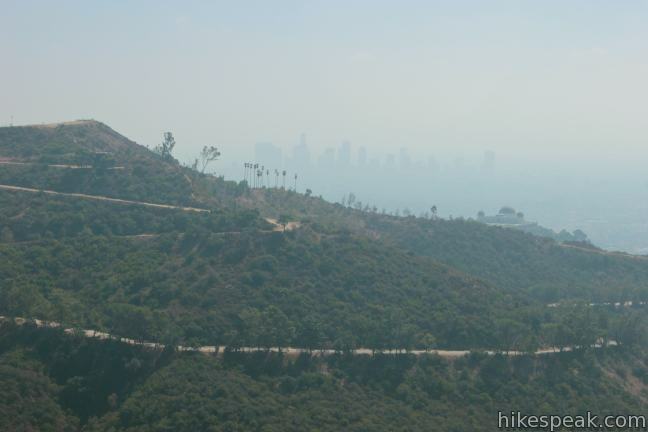 Hike 0.3 miles down Mulholland Fire Road, turn left down Brush Canyon Trail, and descend 1.3 miles down to Canyon Drive. 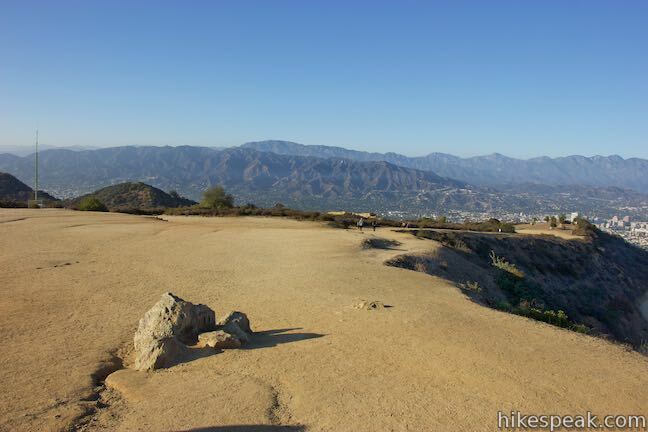 This three-summit hike offers satisfying views and a vigorous workout. 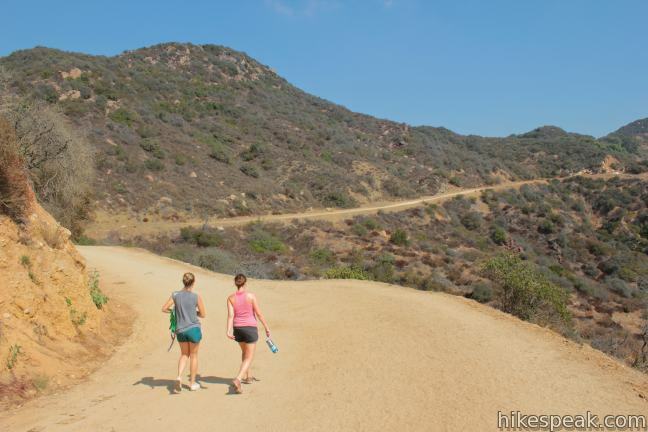 Those who would like to make things a little tougher can bolster the hike by beginning on Brush Canyon Trail, which adds 0.6 miles round trip and 310 feet of elevation change compared to Hollyridge Trail. 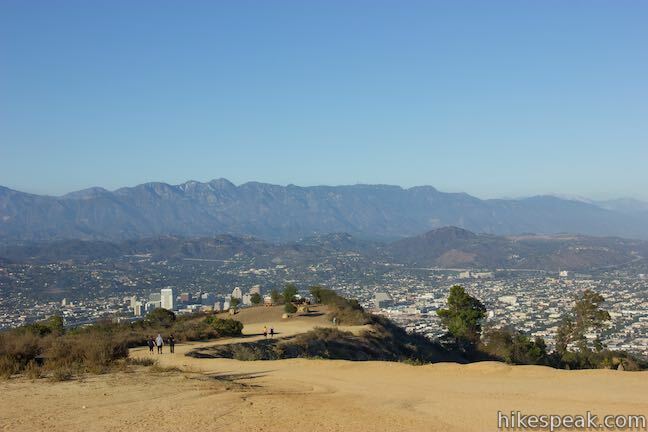 Those truly looking to outdo themselves can add Mount Lee and Cahuenga Peak to the itinerary for a 9-mile hike (beginning from Hollyridge Trail) that bags five summits. 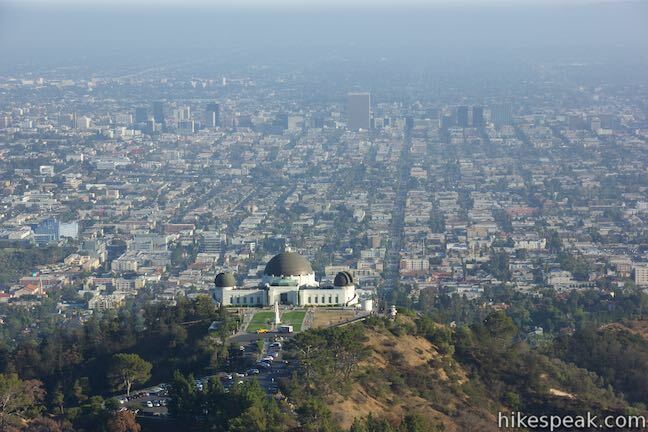 For a shorter hike, set out for Mount Hollywood from Griffith Observatory or Western Canyon. 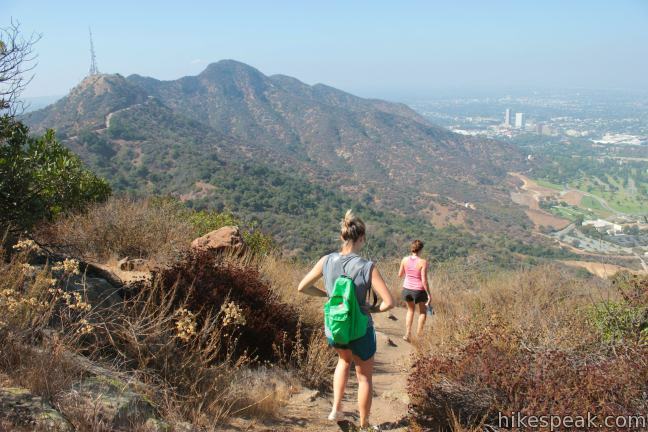 Variations aside, the 5.7-mile loop to Mount Chapel, Mount Bell, and Mount Hollywood is plenty challenging and rewarding. 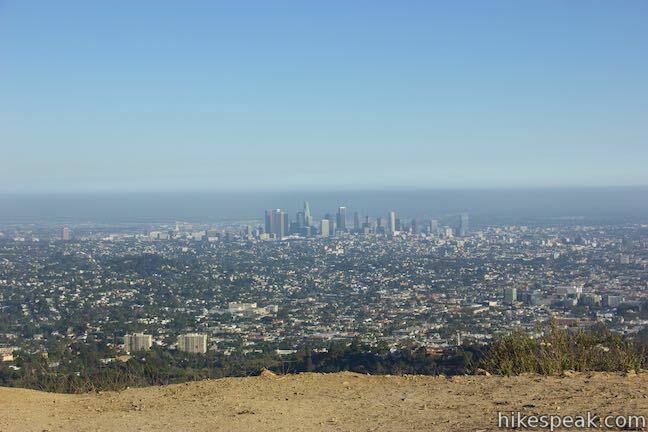 No fee or permit is required to hike in Griffith Park and dogs are welcome, so get out and enjoy! 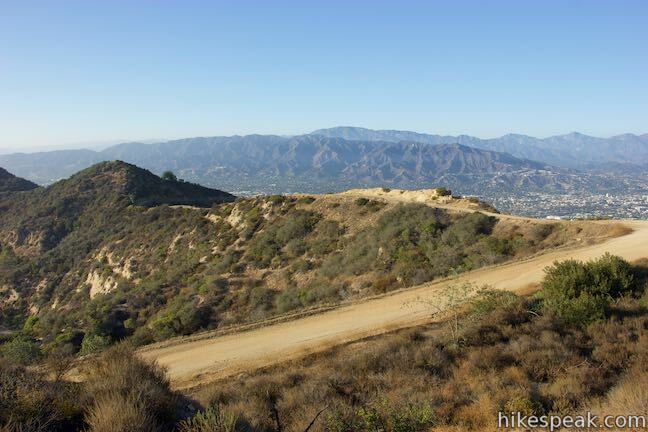 To get to the Hollyridge Trailhead: Take the 101 Freeway to the Gower Street Exit (8C). From the southbound off ramp, turn left on Gower Street, make the first right on Franklin Avenue, and an immediate left on Beachwood Drive. From the northbound off ramp, turn right at the bottom of the ramp onto Beachwood Drive and cross Franklin Avenue. 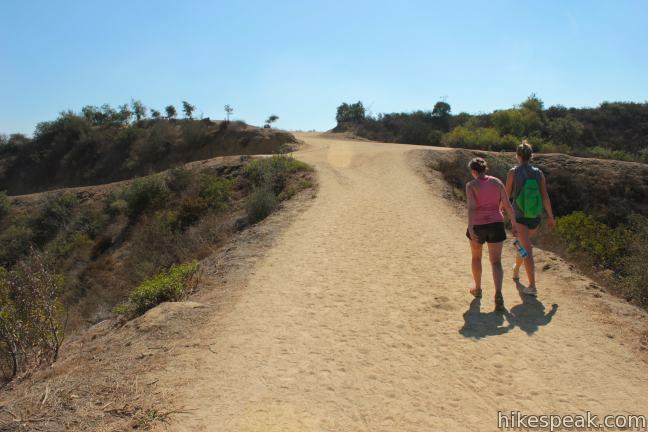 Proceed north on Beachwood Drive for 2 miles to the gate at the top of Beachwood Drive outside Sunset Ranch. 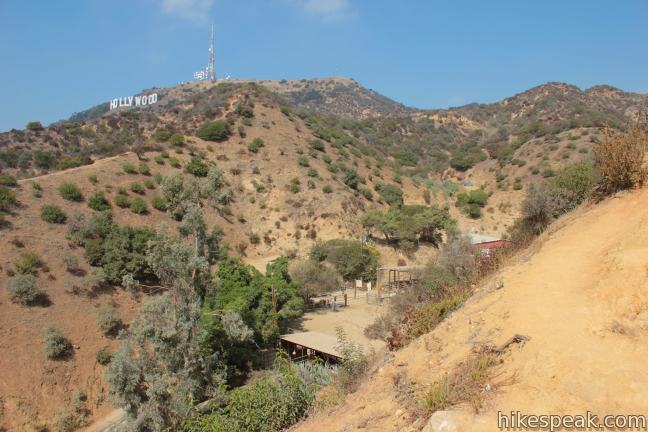 The trailhead is on the right up an ascent beyond this gate with limited parking. 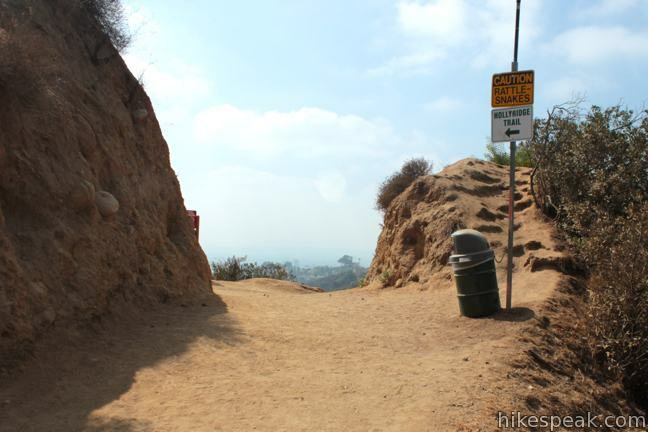 Hikers may be forced to park on the street south of the gate. 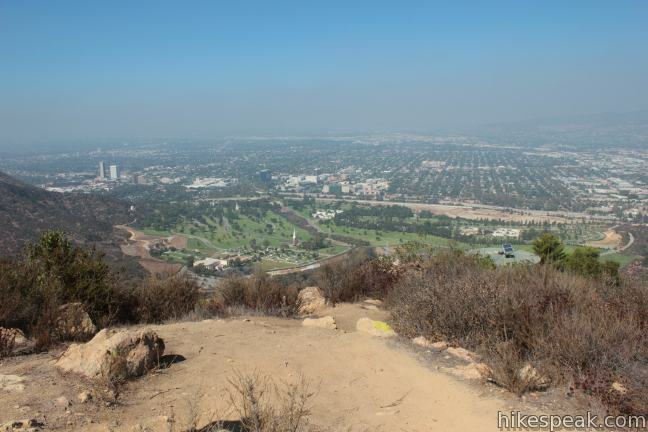 Parking on Beachwood Drive and the surrounding streets in by permit only from 8 a.m. to 6 p.m. on Saturdays, Sundays, and holidays, making it harder to visit the trail on those days. The parking restrictions start at the intersection of Beachwood Drive and Westshire Drive, over half a mile from the trailhead. 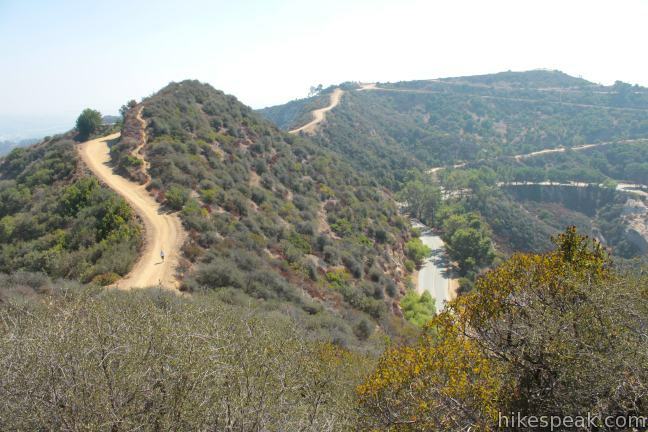 To get to the Brush Canyon Trailhead: From Franklin Avenue, north of the 101 Freeway and Hollywood Boulevard, turn north on Canyon Drive (between Bronson Avenue and Van Ness Avenue) and drive 1.4 miles to the trailhead. A small parking area is on the left at the end of the road, past a larger lot on the right that can also be used. These photos were taken in October of 2012 and February and August of 2015. Click to enlarge. 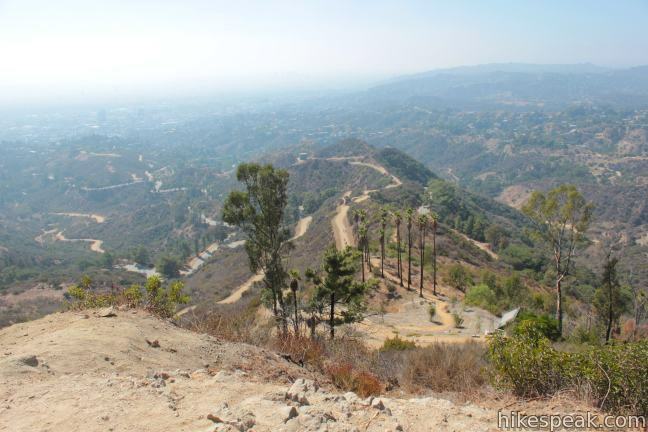 The entrance via Beechwood is currently closed, and guards have strict instruction not to let people up unless you can prove you have a sunset ranch appointment. 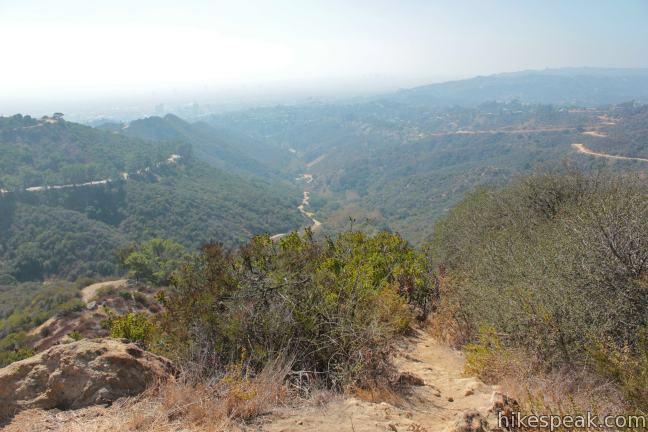 They do not however, stop you coming out that way if you entered the trails elsewhere. Its meant to only be for 5 weeks – so I’m guessing it’ll open early May 2014 but many suspect this is the start of a permanent shut down. 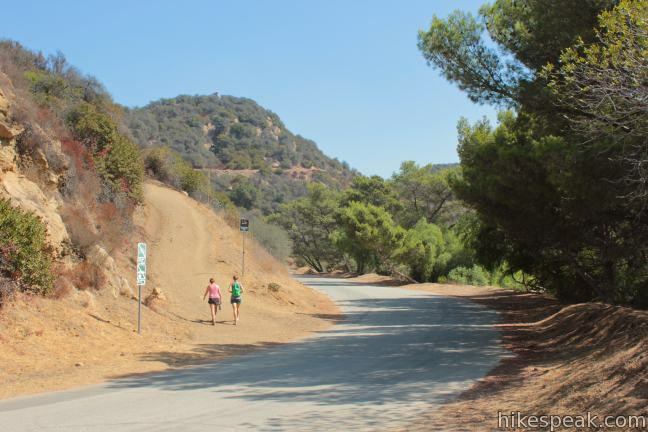 The trailhead at the top of Beachwood Drive is still closed, but the Canyon Drive Trailhead is open. 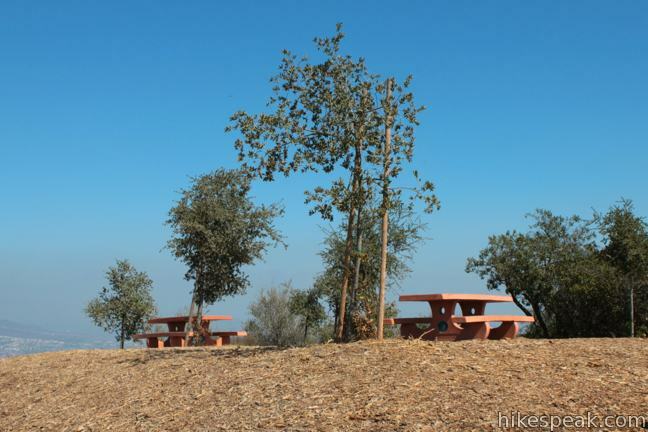 Hi – Has this trailhead been re-opened? Thanks! Yes, it has. Sorry for the missing update.